In the framework of the Twinning Project for Tunisia on “Capacity Building Activities in Support of the Ministry of Justice, Human Rights and Transitional Justice“, conducted by the Spanish Ministry of Justice and the Italian Ministry of Justice, the Siracusa International Institute – ad hoc mandated body of the Italian Ministry of Justice – facilitates the organization of a study visit to the Italian judiciary institutions for a delegation of six officials of the Tunisian Ministry of Justice. 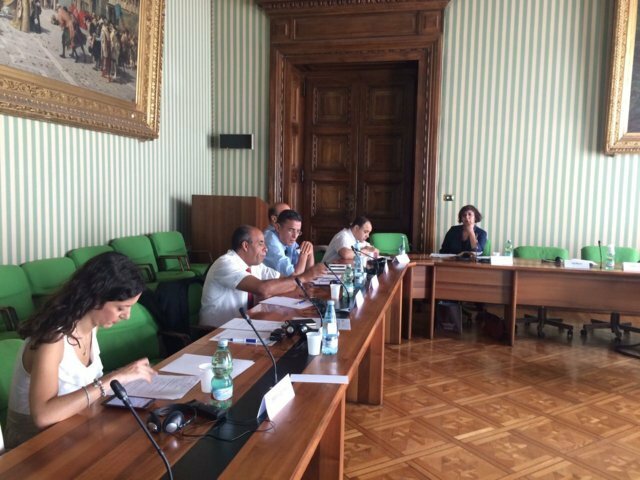 Between July 9 and 15, the delegation will visit the Italian Ministry of Justice and its Department of General Inspection, the High Judicial Council in Roma, the Court of Cassation and the public Prosecutor’s Office in Rome. The delegation is composed by Ms. Lamia Hammami, President of the Court of First Instance of Tunis, Mr. Hedi Ben Ahmed, Administrative and Financial Inspector, Mr. Abdelhaim Yousfi, Deputy Public Prosecutor at the Court of First Instance of Tunis, Mr. Mohsen Eddeli, Judicial Inspector, Mr. Fathi Ameri, Regional Director of the Tunisian Ministry of Justice and Mr. Wajdi Ghozzi, Project Assistant. The study visit, which aims at strengthening the knowledge of the organizational system of the Italian judicial institutions, is coordinated by Ms. Stefania Lentinello, Program Officer of the Siracusa International Institute, Ms. Maria Laura Paesano, Prosecutor at the Italian Ministry of Justice and Ms. Olga Mignolo, Director of the Coordination Office for the International Activities at the Italian Ministry of Justice.